By Shaheen Samavati , November 17th, 2016. Tray.io, a “next generation cloud integration provider,” has raised $5 million in a Series A round led by London-based Mosaic Ventures, and with participation from True Ventures, according to TechCrunch. The startup’s software allows people or companies to create their own integrations between different cloud-based apps, and share them with others. 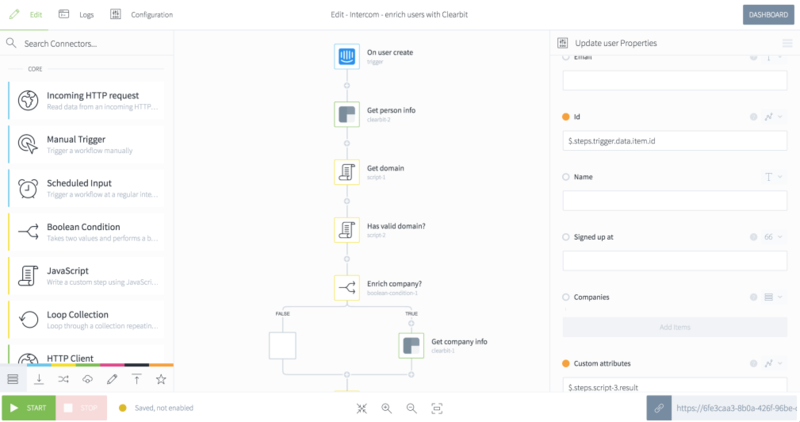 Integrations are built on Tray.io using a “visual workflow editor” or any major programming language, thanks to the open community of SaaS connectors, libraries and user interface components. The company has offices in London and San Francisco. Existing investors include Redpoint, Passion Capital, Angelpad and Huddle co-founder Andy Mcloughlin. It had previously raised just short of $3 million. Early customers include Digital Ocean, Expensify, Vox, Buzzfeed, Zycus, Meteor, Keen.IO and Northwell Health.